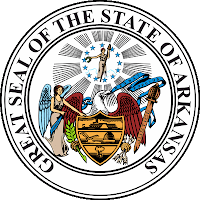 by K. Ryan James: Regnant populus - The State Motto of Arkansas. Ever since 2000, Democrats in flyover-country have been very vocal in trying to get rid of the Electoral College in favor of the national popular vote because they know their friends on the coasts have more than enough votes to counter-balance their misguided constituents who might vote for the other guy. In Arkansas (McCain +20, Bush ‘04 +10, Bush ‘00 +5), it would seen that a rural Democrat is among those who think his people obviously can’t be trusted and must therefore cede the sovereignty of their vote to the national mob. An Arkansas lawmaker wants to do away with the Electoral College system. Arkansas would join Hawaii, Illinois, New Jersey and Maryland in passing the National Popular Vote bill under House Bill 1339 by Rep. Monty Davenport of Yellville. The national movement would guarantee the presidency to the candidate who receives the most popular votes in all 50 states and the District of Columbia. The Constitution gives every state the power to allocate its electoral votes for president, as well as to change state law on how those votes are awarded. Arkansas is a winner-take-all state. The National Popular Vote bill would take effect only after enough states possessing a majority of presidential electoral votes — that is to say 270 of 538 votes — enacted an identical form of the measure. Arkansas has six electoral votes. The other states that have enacted the measure total 50 together. Davenport is joined by an expected cast of Democratic allies, including Rep. Eddie Cooper (Melboourne), Rep. Linda Tyler (Conway), and Sen. Terry Smith (Hot Springs). Surprisingly, one Republican is lined up as a co-sponsor in the Arkansas House: Rep. Andrea Lee (Russellville). This is troubling, as it appears that these members of the General Assembly - if they had their way - would have had no problem ignoring the people of Arkansas’s spectacular rejection of one Barack Hussein Obama and his liberal agenda. Perhaps, these duly elected representatives of the people should get a refresher on how their constituents voted before this Senator and Representatives continue to move forward with the proposition of selling the people out. Represents all of Marion County, parts of Baxter, Boone, Searcy and Stone counties. For the whole state (population ca. 2.8 million), 638,017 Arkansans voted for John McCain, giving him our state’s six Electoral Votes. To put this in perspective, in San Diego County, Calif. (population ca. 2.9 million), 632,207 voted for Barack Hussein Obama as part of the vote total which awarded him 55 Electoral Votes. As you can see, the sovereign votes of a entire state would have been nearly wiped out by the votes of a county if the national popular vote were the standard for electing presidents. Bill Smith, ARRA Editor: Monty Davenport happens to be my State Representative but has failed to represent our district with respect to the traditional values of our local citizens be they Democrats or Republicans. Last legislative session he introduced this same bill to take away Arkansas voice. it passed the House but was stopped in the Senate. One wonders why he would be the lead in stripping away Arkansas' voice. It is obvious from the above statistics presented by Ryan James that Davenport is more liberal than the voters in our counties and wishes to silence their voice in presidential elections. The proposed bill is part of an agenda advanced by a group trying to do away with the traditional role of the Electoral College. If this bill becomes law, Arkansas' votes and influence in Presidential elections would have no real effect on the selection of a President. A group of States with large populations would control the Presidential elections. Our country's forefathers created several protections in the constitution to protect the smaller populated states: each state would have 2 senators and the president would be chosen by the Electoral College process verses by a general popular vote. 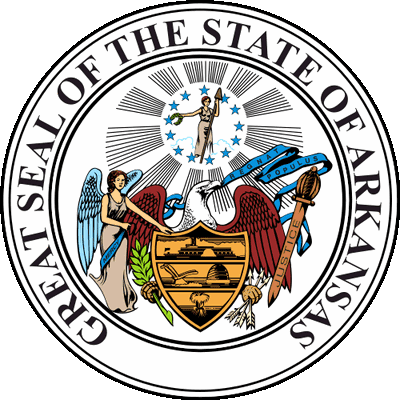 Call to Action: Arkansas' electoral votes may be small but they are so important that presidential candidates and their campaigns must consider Arkansas voters. If this bill becomes law, presidential candidates will be able to ignore Arkansas entirely. It will not matter to them which way Arkansas votes as long as they win the larger populated areas in the U.S.. Why surrender our "minority" voice that was so wisely protected for us by our forefathers? Please contact your State Senator and ask them to protect the voice of Arkansas by voting NO on HB 1339. See Also: U.S. Electoral College and The Pro's and Con's of the Electoral College System Note: Prior post. Tags: Arkansas, ARRA, Bill Smith, Electoral College, Monty Davenport To share or post to your site, click on "Post Link". Please mention / link to the ARRA News Service. Thanks! Bill 1703 [on electoral college in 07] is to assure that whoever wins a plurality of the popular vote nationwide is the next president of the United States. In short, to render the Electoral College meaningless. To quote the bill’s main sponsor, Monty Davenport of Yellville: “One person, one vote, that is my intent.” Nice slogan. But it’s no substitute for serious thought about the Electoral College and the role it plays in the complex American constitutional system. Would the gentleman from Yellville apply the same One Person, One Vote kind of sloganthink to the election of the U. S. Senate ? HB 1703 is now [March 25,07] before the state Senate. Governor Mike Beebe says he’ll sign the thing if it gets that far. Let’s hope it doesn’t. And if it does, let’s hope somebody explains the dangers of this approach to the governor. Those dangers may not be obvious, but they’re there. We ignore them at our risk, and the republic’s. I understand a bill to eliminate the electoral college will be discussed in the House State Agencies Committee today. What in the world is going on with our elected officials who are trying to help the 9 Supremes expedite, making our Constitution irrelevant, and to destroy the Republic? I am assuming that the purpose of this bill is to eliminate the confusion and charges of voter fraud leveled in the 2004 (and I think the 2000) national election(s). But I also concede the wisdom of our Founding Fathers in creating the Electoral College. Any conservative or states rights advocate will naturally want to preserve this institution because it has served its purpose well for most of our country's history. But I'd like to remind those who read this blog that the "9 Supremes" are just as much of part of this country's legacy as the Electoral College. Our Founding Fathers placed the Supreme Court at the head of our judicial branch of government to resolve questions relating to the proper interpretation of the Constitution in regards to state and federal legislation. Their decisions were deemed the law of the land because our states are supposed to be united. I suppose the Supreme Court could be abolished in a manner similar to the Electoral College if enough states voted for it. If that happened, each state could basically decide its own policies on just about anything it wanted to. State sovereignty would be almost absolute. But is that what we really want? There is a reason why we call our states "united." I support the Electoral College for the same reason that I support the existence of a Supreme Court. I may not agree with the decisions of either institution, but they have both served our nation well in the past.